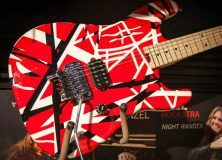 Paul Reed Smith (PRS) has launched a new line-up of electrics for 2014, including the moderately priced SE Marty Friedman signature model. Though the company is known for its high-end axes, often favored by doctors and lawyers, this time around, PRS has gone a different route. But will the SE Marty Friedman be any good? Why would PRS, a company that typically offers traditional instrument designs, be interested in an eccentric slinger like Marty Friedman? That’s easy to answer. Friedman was the lead guitarist for Megadeth, one of the most dominant thrash bands of the 90s. Remember the album Rust in Peace? That was Friedman’s Megadeth debut. At the time, it was well received by critics and fans alike. Some will argue that it remains the band’s best effort. Friedman is not with the current incarnation of Megadeth. Nevertheless, what does PRS really think of Marty? It could be that PRS has learned, no matter how well a guitar is made, there are only so many white collar professionals who can play, or buy. As a result, though it already has other artists onboard with their own signature editions, the Maryland- based company is looking to tap into one more segment of the retail marketplace. For those aspiring shredders from the 90s who are older, and hopefully better musicians, Marty Friedman was and still is a guitar god. What better way is there to tap into that market than with an affordable solid body and Friedman’s name? The SE Marty Friedman looks like most other PRS single cut-aways; however, it’s not. The first thing that should be different is the price. Notice the key words here are “should be.” That’s because an MSRP has not officially been announced. 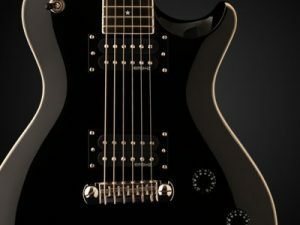 But by comparison, where other PRS instruments normally cost at least a couple of thousand dollars, the SE line has sold anywhere from $550 to around $800. 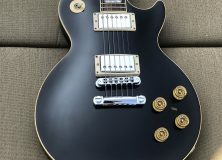 For example, the Mark Tremonti SE retails for about $700. It’s likely that Friedman’s SE will fall into that range. Another thing to consider: The SE Friedman, like other SE’s, is made offshore, while the other more expensive PRS gits are manufactured in the United States. The SE Marty Friedman is striking with its beveled maple top and mahogany back. It’s only available in a black glossy finish. What’s more, the characteristic Les Paul profile cuts an imposing figure. Remember, PRS ultimately won that copyright issue in court. The Friedman body may say LP, but the headstock let’s you know it is a PRS. In addition, the 22 fret mahogany wide fat neck has a rosewood fingerboard with star inlays, which lends unconventional visual charm to the Friedman magic. For the electronics, there are a couple of PRS designed humbuckers at the treble and bass positions. Mixing and matching is done via volume and tone controls for each pick-up and a single three-way toggle switch. 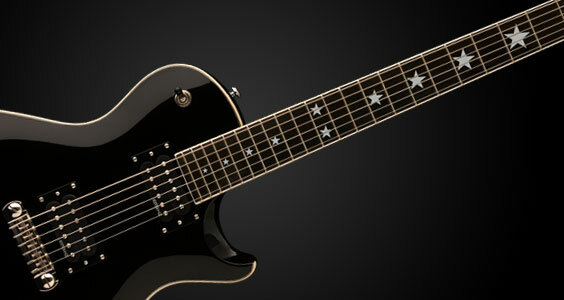 Look for the SE Marty Friedman guitar coming soon, only from PRS. Pre-orders are already being accepted. A PRS guitar for less than $800 may be worth looking into, especially if Marty Megadeth Friedman thinks so.